Ten percent of women experience infertility, but policymakers and health bodies don’t see it as a priority. Some experts say the inability to have children should be considered a human rights issue, and are looking for ways to get treatment to everyone who needs it. With the focus on slowing population growth in developing countries, many governments and international organizations don’t consider infertility a basic healthcare concern, while resources are mostly going toward other global health priorities, like HIV and malaria and new pandemics like Ebola and Zika. People in high-income countries have had access to a range of assisted reproductive technology (ART) interventions – from fertility medication to intrauterine insemination to in vitro fertilization (IVF) – since the 1970s. But the high cost of IVF makes it inaccessible to many families, even where it’s available. And while the number of IVF centers around the world has expanded considerably in the last decade, many parts of sub-Saharan Africa and Central Asia have been left out. Some health experts are calling on policymakers and health bodies to take infertility more seriously, and are looking for ways to make it cheaper and easier to help couples make babies. Five years ago a team led by Willem Ombelet, a Belgian physician at the forefront of the budding reproductive justice movement, a framework that fuses concepts of reproductive rights and social justice, contacted several major organizations working in reproductive care – including the Gates Foundation, the United Nations Foundation and the MacArthur Foundation – about whether they had ever provided funding for ART or would consider it. None had. 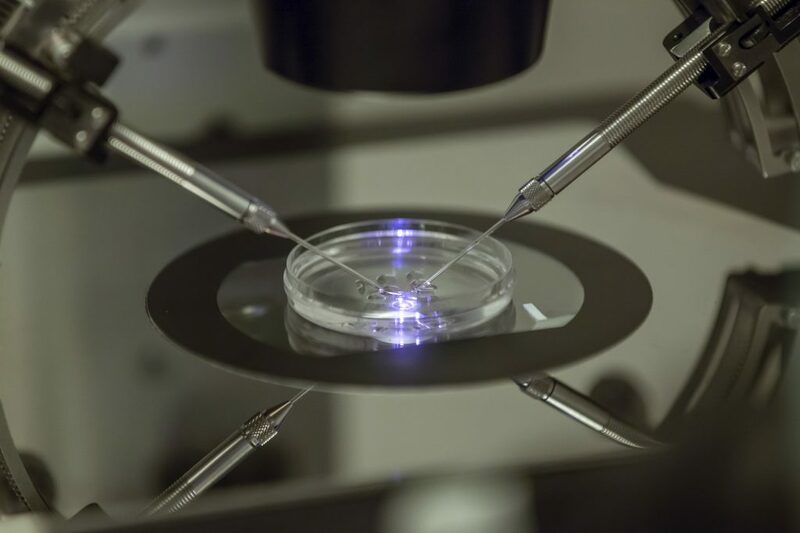 Developing low-cost IVF (LCIVF) has been the first step in his crusade to fill the unmet demand for ART in both developed and developing countries. “We need to convince them [organizations and governments] of the cost-benefit,” he says. After more than two years of research, the Walking Egg (W.E. ), a nonprofit organization established by Ombelet and others in Belgium in 2010 to provide wider access to infertility care, has come up with a new LCIVF technique that has resulted in the birth of 50 healthy babies in Belgium. “The technique works at least as good as regular IVF for a lower price,” he says. The W.E. lab has eliminated the need to build a costly IVF laboratory by using an IVF chamber the size of a neonatal incubator that provides the necessary closed system and regulation of temperature. The W.E. lab also simplifies embryo culture methods using common chemicals and eliminates high-end equipment like complex microprocessor-controlled incubators. Instead, the IVF chamber is made of low-cost components and designed for simple assembly. Beyond Genk, new W.E. programs are scheduled to start in Porto, London and Sicily, while Ghana’s capital Accra will host the first W.E. lab outside Europe in September. But Ombelet says his organization faces barriers in getting LCIVF out to all the people who need it. “There’s a bit of the IVF lobby who don’t like us,” he says. But he thinks there is enough demand around the world for both high-end and low-cost treatments. “If we can make it half or one-fourth of the price, the access will be much more, but the centers as they work now can continue with the genetic testing [and] the more sophisticated work,” he says. “People with money prefer to go to the centers with the most advanced techniques. I really don’t believe there is big competition with the regular IVF centers.” The lack of experienced staff is also a challenge, as doing IVF procedures – whether regular or low-cost – requires years of training. As Inhorn calls for more medical attention to infertility issues in the developing world, she also highlights the need for social support. “We know around the world women, particularly childless women in pronatalist places [where reproduction is strongly encouraged], really suffer,” she says. Prevention efforts should be part of the strategy to address infertility, she says, including early detection and treatment of reproductive tract infections in both men and women, as well as postpartum, post-abortion and medically iatrogenic infections, which are a major cause of secondary infertility in women.